UV400 PROTECTION LENS -DUCO lens is 100% UV Protection，blocks 100% Harmful UVA,UVB & UVC. Cheap sunglasses lens will harm your kids’eyes without recovery. YOU WILL NOT REGRET TO SPEND MORE DOLLARS HERE TO GIVE YOUR KIDS A SAFE SHIELD. 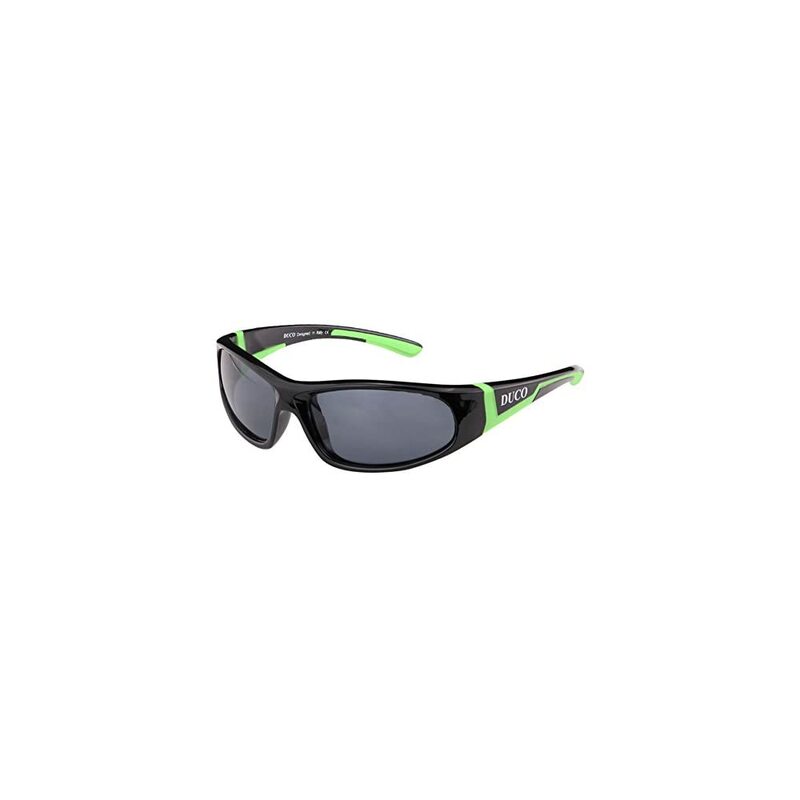 POLARIZED SUNGLASSES–Polarized Lenses Eliminate Glare And Reduce Eye Fatigue Polarized Triacetate Lenses Are Impact And Scratch Resistant, Lightweight And Durable. ERGONOMIC DESIGN–Made by Flexible Food Grade Rubber Bendable Material Completely Flexible and Virtually Unbreakable Arms Safe for Kids. Super Perfect for Age 3 to 10. 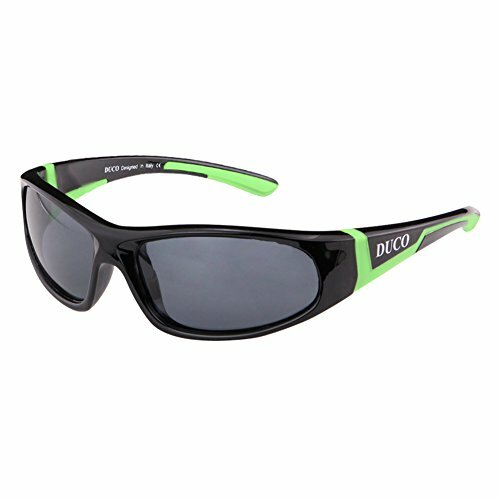 Duco Children’s Polarized Sunglasses Keep Your Child’s Eyes Protected From The Sunshine And UVS. 1-The super light frame: Let your kids feel comfortable while wearing this awesome DUCO kids sunglasses. 2-Great sports frame design for golf, cycling, running, fishing and all active outdoor activities. 3-Made by Flexible Food Grade Rubber Bendable Material. It is extremely Safe for Kids because kids may fall during activities like running, poor plastic frame will break and is very dangerous for kids. Whatever the reason is, even like stepping on it by accident, we will ship you a free replacement one. Polarized sunglasses have a filter that works to prevent the glare from reflecting on flat surfaces (water, snow, road pavement) which interfere with vision. They can be highly useful for sports, driving, and fishing by helping the participant in these activities to see more clearly. They provide premium protection against the sun’s harmful rays. 1* Mini Screwdriver To Help Keep Your Sunglasses Feeling Brand New! Make your kids a great surprise and safe shield! 30 DAY MONEY BACK GUARANTEE-100% satisfaction guaranteed. We are not only selling sunglasses but also providing excellent customer service. We promise if you are not happy with DUCO glasses within the first 30 days, we will refund you without any reason .SO NO RISK ON TRY!